Tagus Palace v Lisabon, Portugalsko: Zarezervujte nyní! Cancellation before 48hours otherwise we charge total amount. 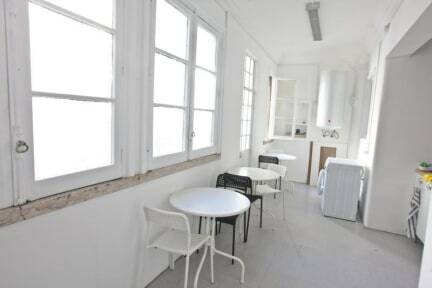 Tagus Palace Hostel enjoys a central location in the historic area in minutes from the Parque Eduardo VII, ideal for enjoying the nightlife of Lisbon. We offers rooms with private balconies and free Wi-Fi. The guests can prepare their own meals in the communal kitchen, equipped with stove, fridge, microwave, toaster and utensils. Also available are vending machines throughout the property. 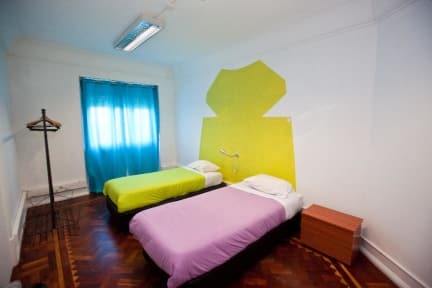 In the hostel also guests can use a washing machine, a TV room with a computer and games. Others facilities include:photocopying and luggage storage. Breakfast is not included - 5€/pax/night.